RnB also provides price discount feature depending on booking days. Admin can set unlimited booking day-ranges price discount from product back-end. 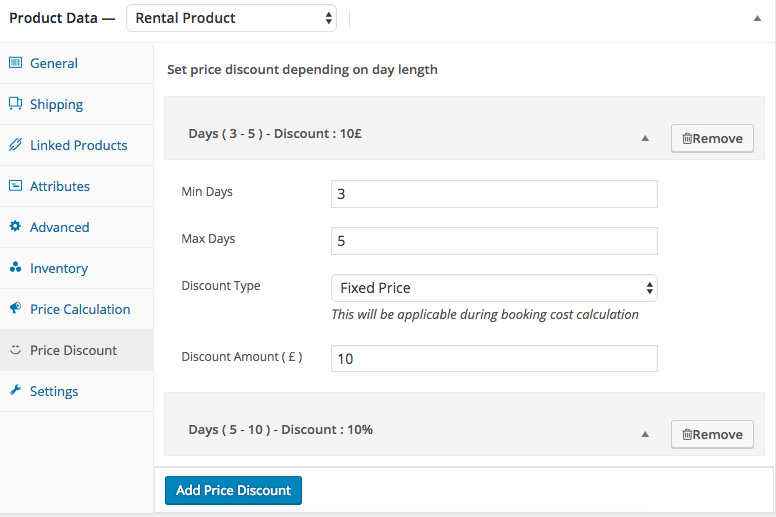 You can set your discount type as Fixed price or Percentage basis.